The recipe comes from Alice Currah and I’ve tried her recipe a few times and each time is a whooping success! I originally wanted to make the original chocolate one for the blog but realised that I ran out of dark chocolate. While feeling dejected, I suddenly saw something through the corner of my eyes – a pack of white chocolate! 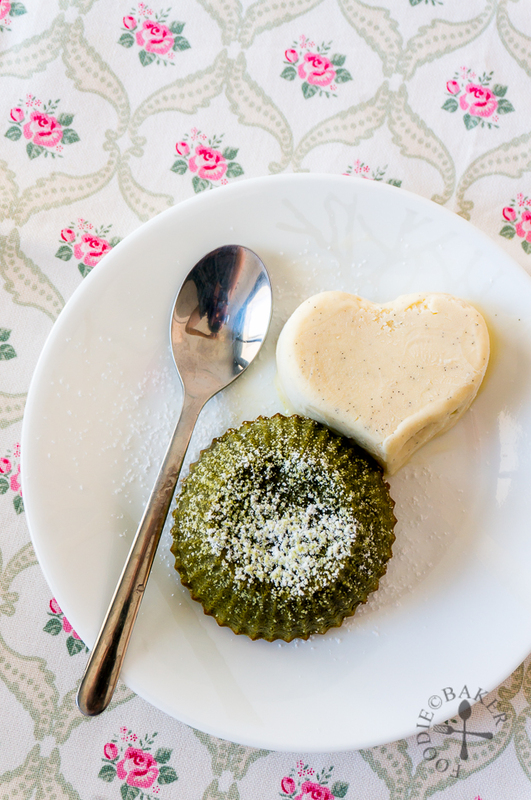 Then it dawned on me that I could make a matcha lava cake. 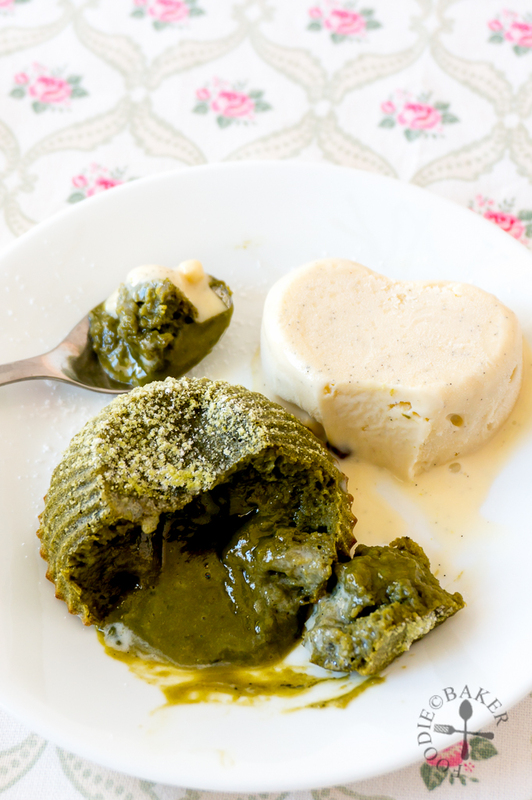 I cannot tell you how easy it is to put this matcha lava cake together – you just need to melt the chocolate and butter, whisk in an egg, some matcha and a bit of flour and it’s ready to be baked! I used microwave to melt my chocolate and butter, but you can also use a double boiler – for a detailed description on how to melt chocolate and butter together (via both methods), please click here. Just look at it ooze! I don’t have a ramekin big enough to hold all the batter, so I divided the batter between 2 silicone cupcake holders – enjoy on 2 occasions while dividing the calories, how awesome! 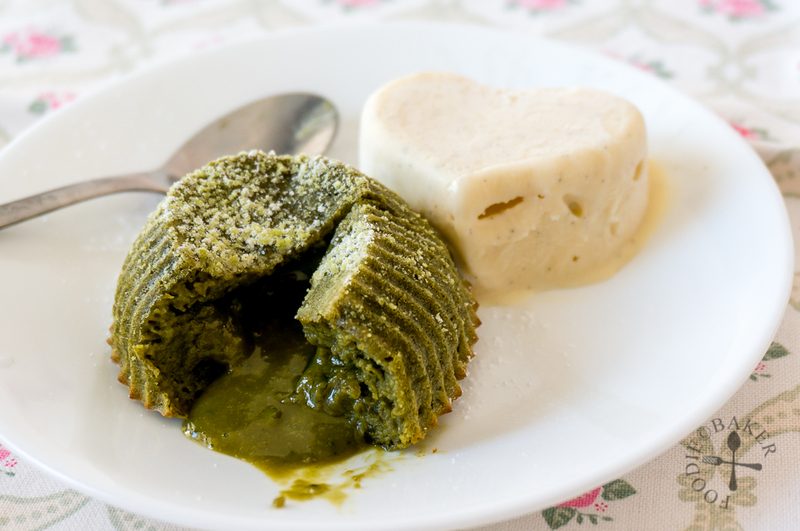 The batter can be kept in the refrigerator for up to 3 days, so it’s perfect to make these matcha lava cakes in advance. 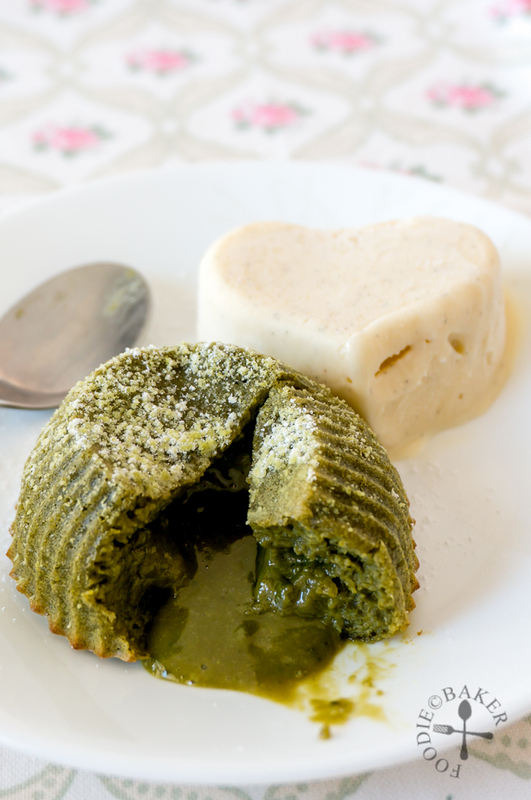 I absolutely love how this matcha lava cake turned out in the end. It is not too sweet even though it’s made with white chocolate and the ooze is simply irresistible! 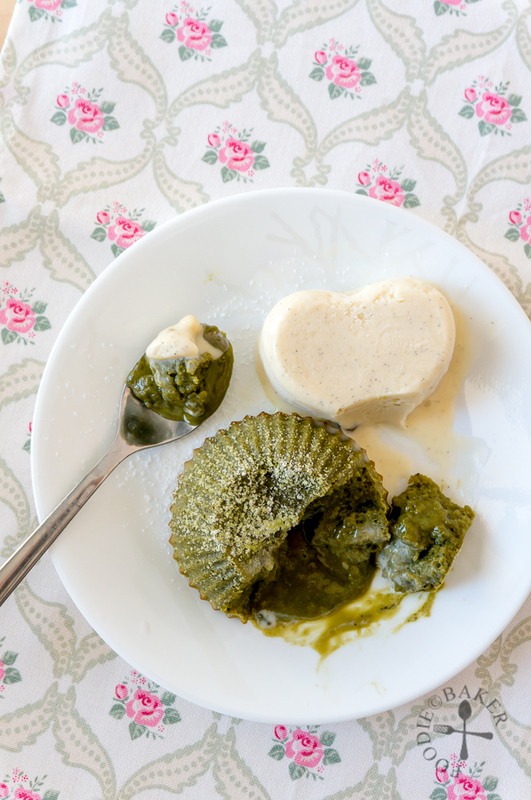 Paired with ice cream – too bad I don’t have any matcha or red bean ice cream – this is one perfect treat that I’ll make when I have a lava cake craving from now on! 1) Combine 1 tbsp matcha and 1 tbsp hot water into a paste. 2) Melt 45g white chocolate and 30g butter together - either via micorwave or a double boiler. Set aside to cool slightly. 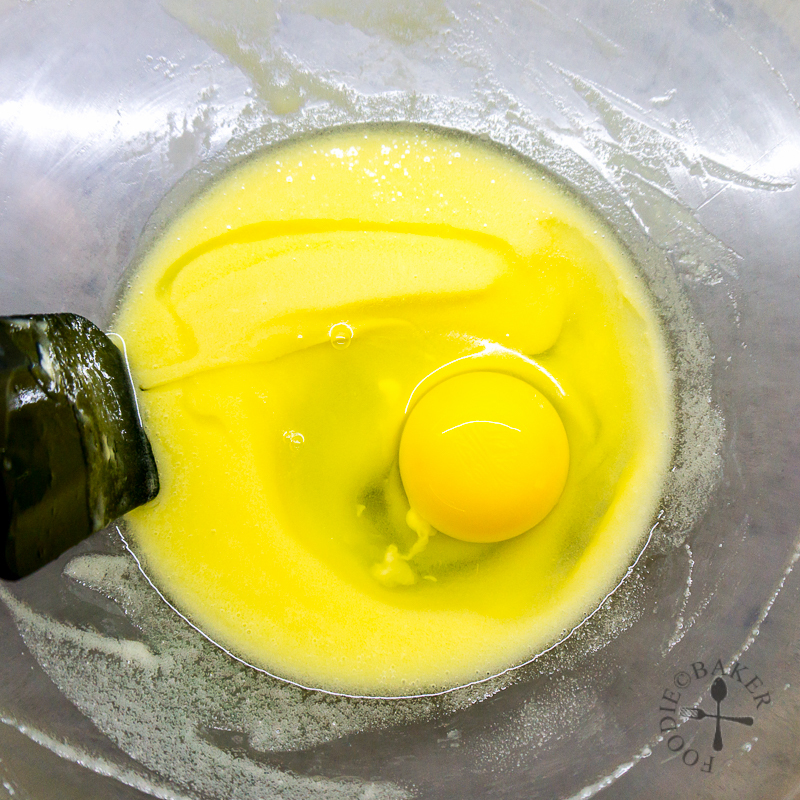 3) Whisk in one large egg. 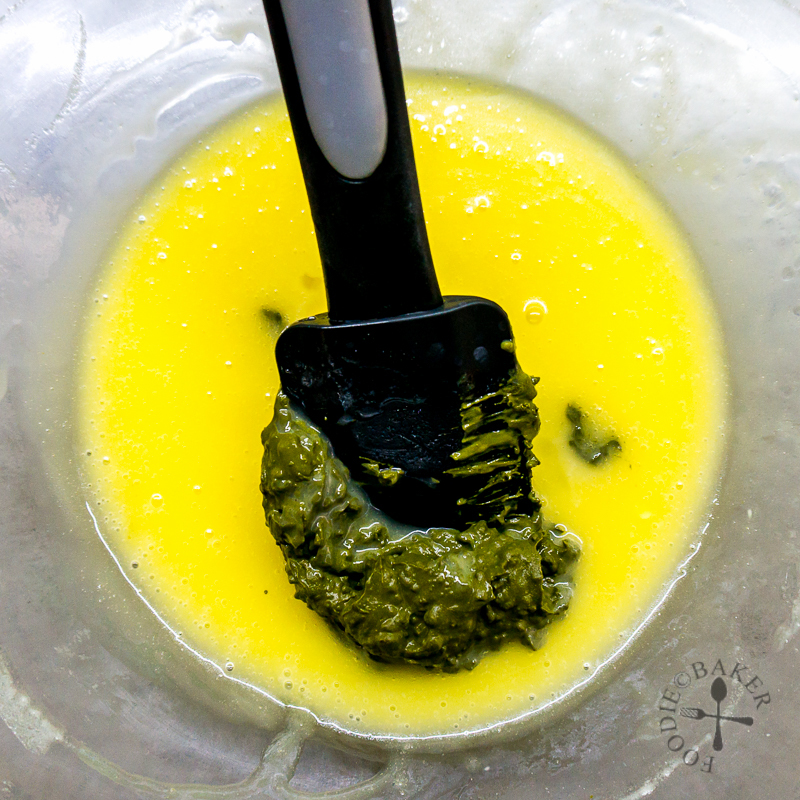 4) Whisk in the matcha paste. 5) Fold in 1 tbsp flour until it is just incorporated. 6) Pour the batter into one big ramekin or divide between two ramekins if you feel like sharing! 7) Bake until the top is dry. No skewer test because it won't be accurate! Preheat oven to 200C / 400F. 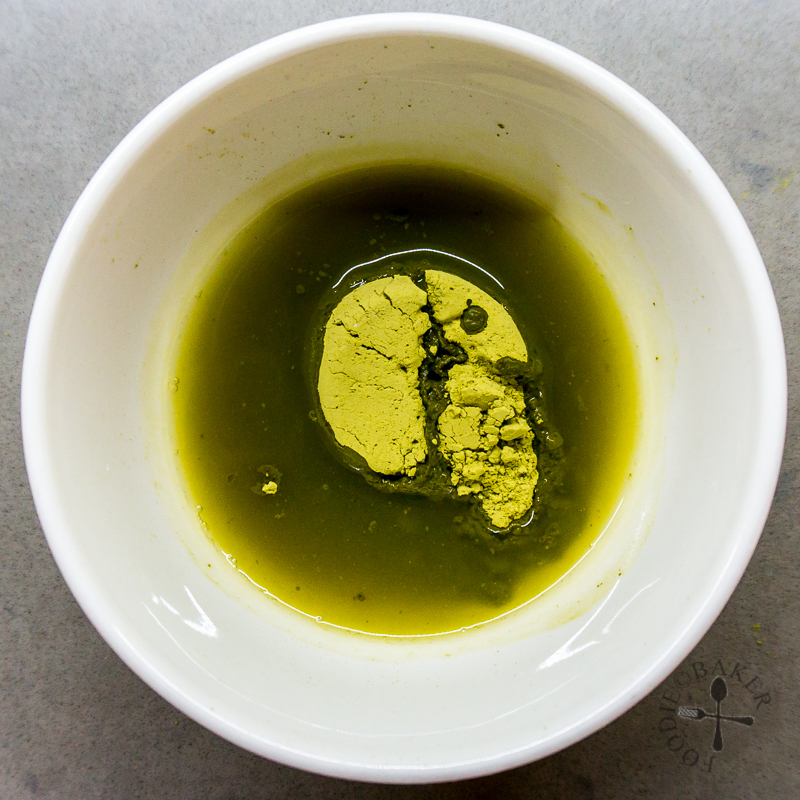 Grease one 4oz (125ml) or two 2oz (60ml) ramekins with butter and dust with matcha powder. 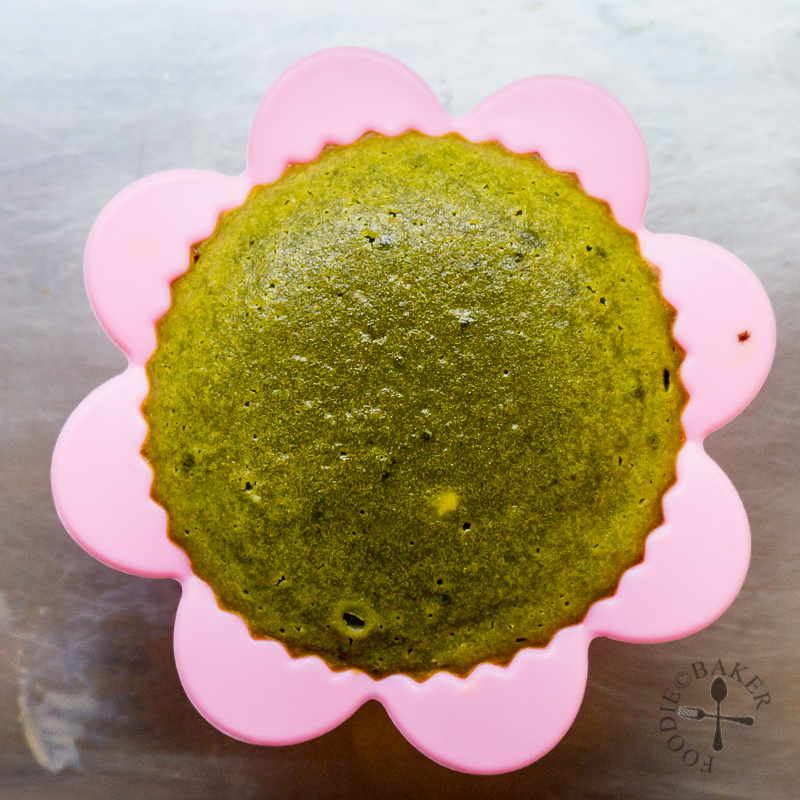 If using silicone muffin cups, no greasing or dusting needed. 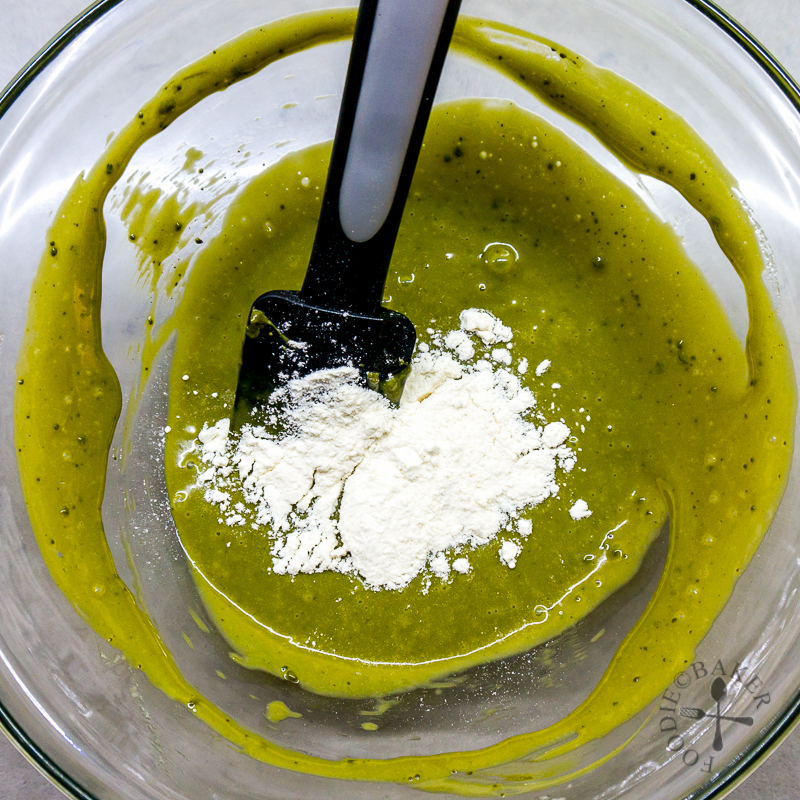 Whisk matcha powder and hot water together into a paste. Set aside. Melt chocolate and butter (see here for how to melt chocolate and butter with microwave or double boiler). Set aside to cool slightly. Whisk the egg into the chocolate-butter mixture, followed by the matcha paste. Stir in the flour until fully incorporated. Pour the batter into the ramekin/s. 4oz ramekin: Bake for 10 to 12 minutes. 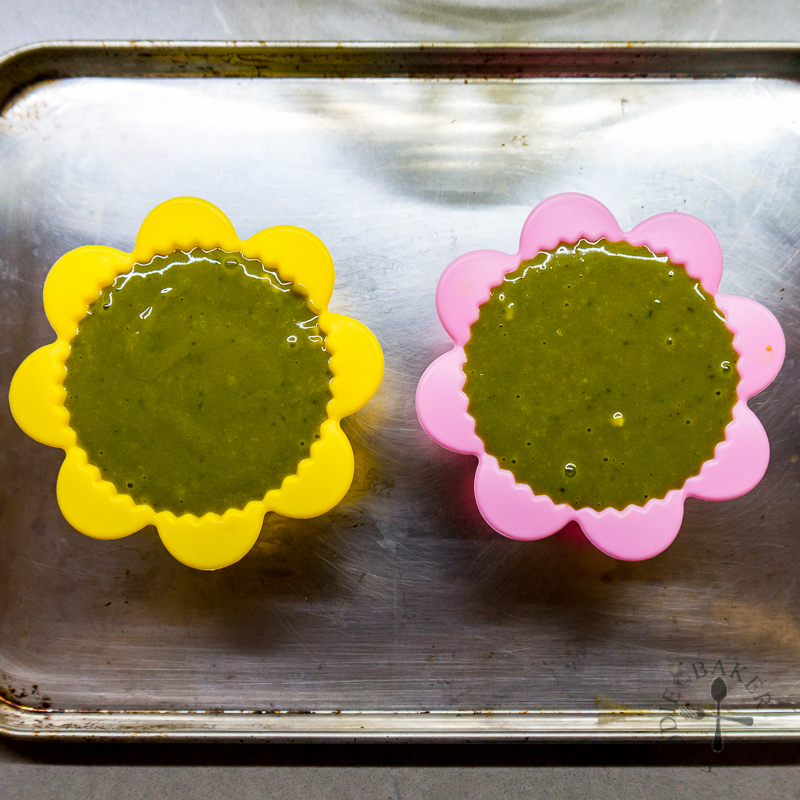 2oz ramekin / silicone muffin cups: Bake for 7 to 8 minutes. The top of the cakes should form a crust and should not look moist - but do not overbake the cakes! Remove the cakes from the oven and invert them onto serving plates. Dust with icing sugar / matcha powder and serve immediately with a scoop of ice cream. - The cake batter can be made in advance until Step 5. Divide between the ramekins, cover and chill in the refrigerator for up to 3 days. Bake the cake directly from the refrigerator (no need to let the batter come to room temperature), adding 3 to 4 minutes to the baking time. - If you are making the cakes for the first time, do start checking on the cakes on the 10-min (for 4oz cakes) or 7-min (for 2 oz cakes) mark so that they won't be overbaked. Hi Amanda! I will think that it’s possible, let me know how your attempt goes! This looks great and so easy! I have the same problem too. Dessert recipes should be in single servings more often. If not, I will inhale EVERYTHING. Hahaha. Do you think this will work with oat flour? Hi Gem! Hahaha inhaling everything is just too dangerous on our waistline, no? I don’t use oat flour so I’m not sure if it will work! If you do try it out let me and other readers know how it goes! Que bueno que se ve. These look rather amazing, Jasline. You can always freeze things. Guarantees lava centres then.